All The Plains homes currently listed for sale in The Plains as of 04/25/2019 are shown below. You can change the search criteria at any time by pressing the 'Change Search' button below. If you have any questions or you would like more information about any The Plains homes for sale or other The Plains real estate, please contact us and one of our knowledgeable The Plains REALTORS® would be pleased to assist you. 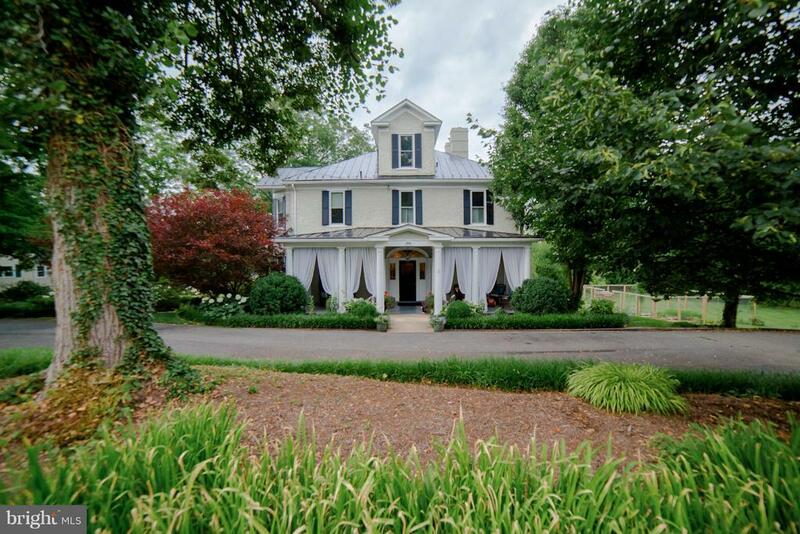 "~Fidelio~, Prime Fauquier County location minutes from Middleburg. Unbelievable finishes throughout, antique floors & mantels, vaulted ceilings, 6 BR, 5 full, 2 half BA, 6 FP, gourmet kitchen. Improvements include office/studio, stone cottage w/office, spa, guest house, pool & lighted tennis court. Landscaped grounds w/ stream, waterfalls, boxwood & special planting. 61 acres." 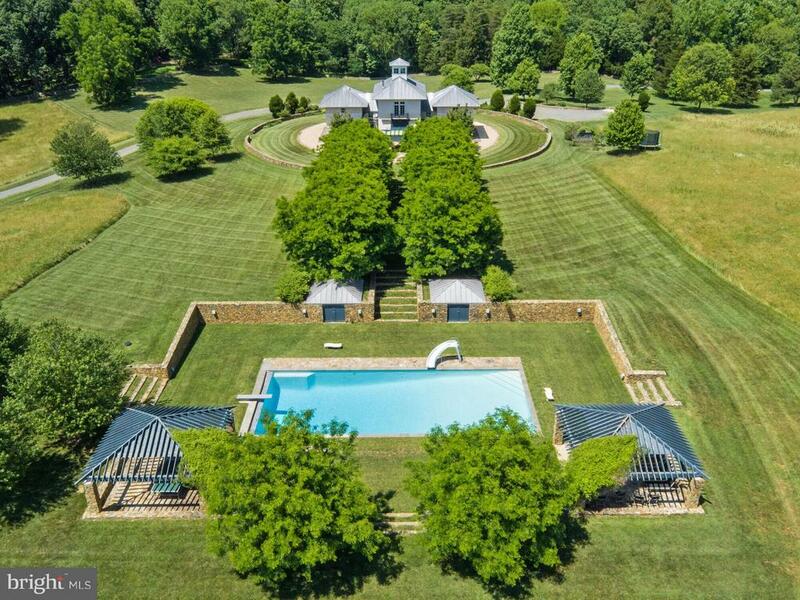 "MUSTER LANE FARM, minutes from historic Middleburg, embodies the stately Virginia Horse Country Estate.108 verdant acres with tremendous ride-out through open fields and woods. Many recent and significant improvements both to the grand manor home and 11 stall barn. 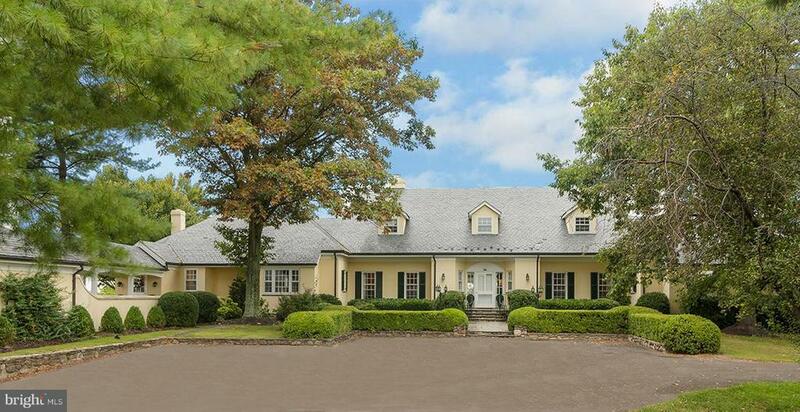 Steps from the main home is a handsome oak-paneled office above a 5 car garage. Two 3-br tenant houses. Orange County Hunt Territory." "HIDDEN TRAIL FARM-Exquisite horse property in prime Orange County Hunt Territory with exceptional ride-out potential.Elegant Country French-Style Home with Custom Kitchen Cabinetry and French Limestone Countertops. Geothermal heating and cooling. Charming log cabin guest house, pool, 8 stall barn w/sprinkler system.Stunning indoor arena with private entrance from Young Road." 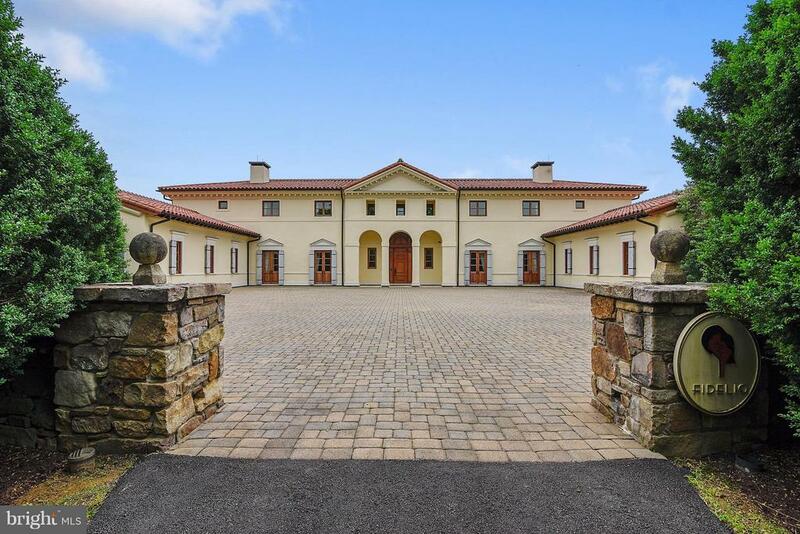 "90 Acre Estate with sweeping panoramic views and grand trees surrounding this recently renovated, turn-key residence. 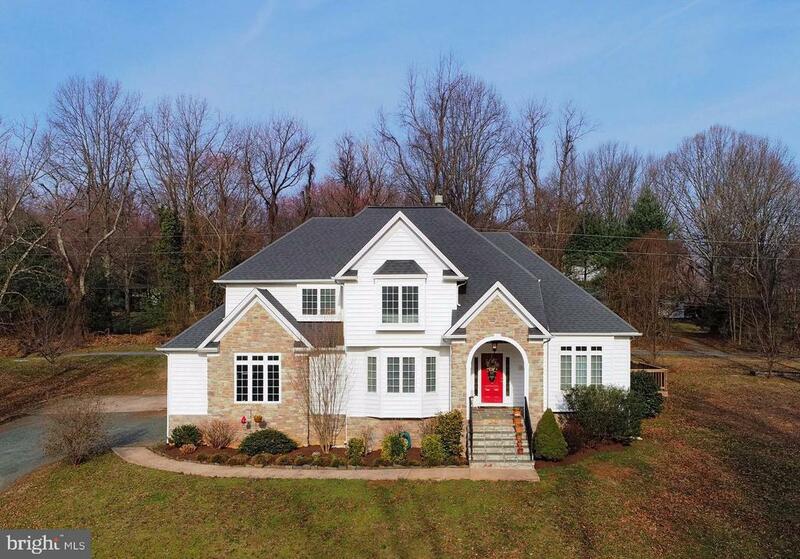 The home has been finished to the highest standards and features three meticulously finished levels with a modern floor plan, which includes a first floor master bedroom suite. The grounds and gardens have been professionally designed by Nicole Siess and Charles Stick. This extraordinary location is in prime Orange County Hunt Territory. This 90 Acre Estate is in 2 parcels, Tax ID #7011-28-2599 with 37.254 Acres and also includes Tax ID #7011-29-6423 with 53.70 Acres protected by Conservation Easement." "Price reduced! 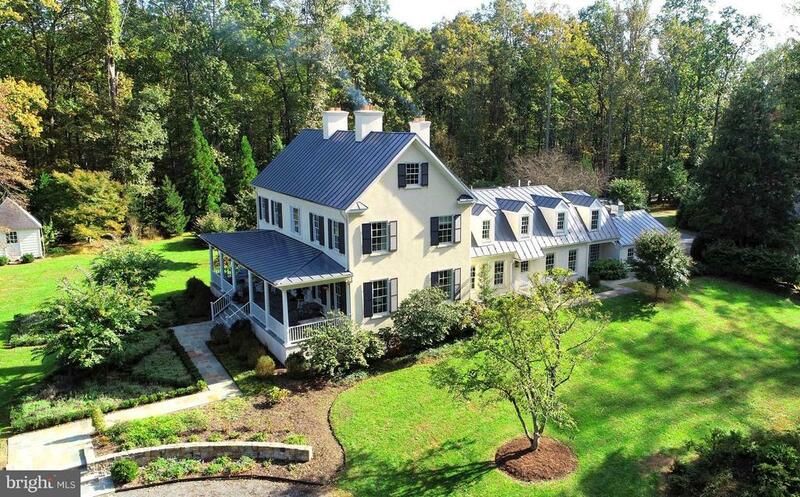 Stunning home on 83 acres in the heart of VA horse country. 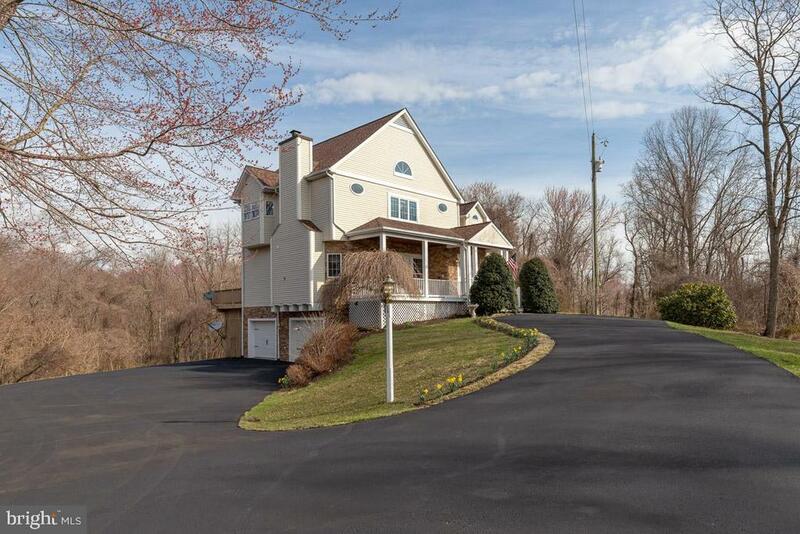 Breathtaking, 360 degree views.Located off of paved Zulla Road, with a paved drive beyond security gates. House has been totally remodeled, meticulously maintained. 3 car garage. Outdoor kitchen with chef's kitchen. Extensive stone work. Swimming pool. 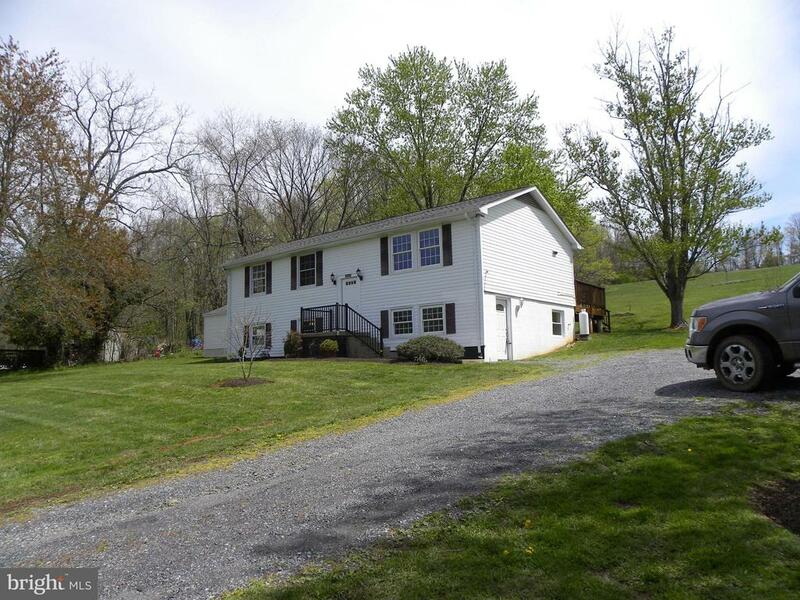 Lovely 3 bedroom farm mgr/tenant house with hardwood floors and private location. Charming 1 bedroom guest house. High speed internet. Geothermal. Whole house back up generator. Wine cellar. Easy access to 66 and 50. 1 hr to DC." "Extraordinary Tulip Tree NOW offered on approx. 150 acres - International Style Farm House, one of a kind & exceptional in design, sited on one of the regions most beautiful parcels in the Orange County Hunt. Private drive lined by impeccable stone wall-2 level 3BD & 2.5BTH over stable style MainLevel - leads to stone terrace, down a stone lined Allee to a 26'X60 pool. 1hr. to DC. 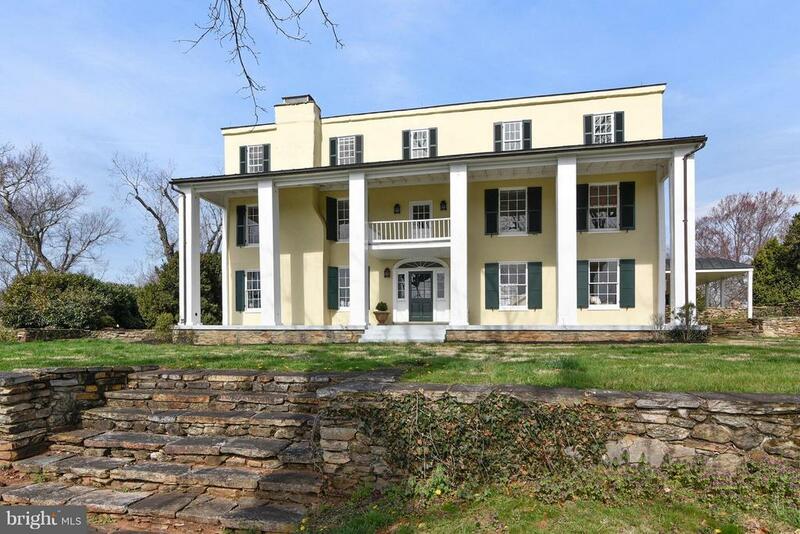 IN VOF Easement"
"Waverly, Circa 1755, prime Fauquier County location, between Middleburg and The Plains, additions in early 1800's & 1943. Home recently restored. 62 gently rolling acres in Orange County Hunt. 4 bedrooms, 4 1/2 baths, 6 fireplaces. Improvements include salt water pool, pool house, large party house/studio, 2 tenant houses, stone walls and pond. House & pavilion have new roofs." "The Grange is a spectacular Manor house on 18 acres between The Plains and Middleburg. Renovated in 2012 with a 2-story addition, this spectacular home features a grand two-story entrance foyer, a formal Living Room and Dining Room both with fireplaces and 10' ceilings, a spacious Jan Forte designed Kitchen which opens to the Family Room with a fireplace, the Breakfast Room, and the home office or Den. The 2nd floor Master Suite features a luxury Bath with heated floors, soaking tub and steam shower and a walk-in closet. 3 more Bedrooms are on this level with two full baths. (1 BR is Exercise Room). 4 fireplaces and hardwood floors throughout. Extensive landscaping surrounds the house. There is a covered outdoor dining room with built-in grill, a pizza oven and open sitting area ideal for entertaining. The heated pool features a waterfall and two seating areas. The lower level is unfinished but has 10' ceilings and is designed for rooms. 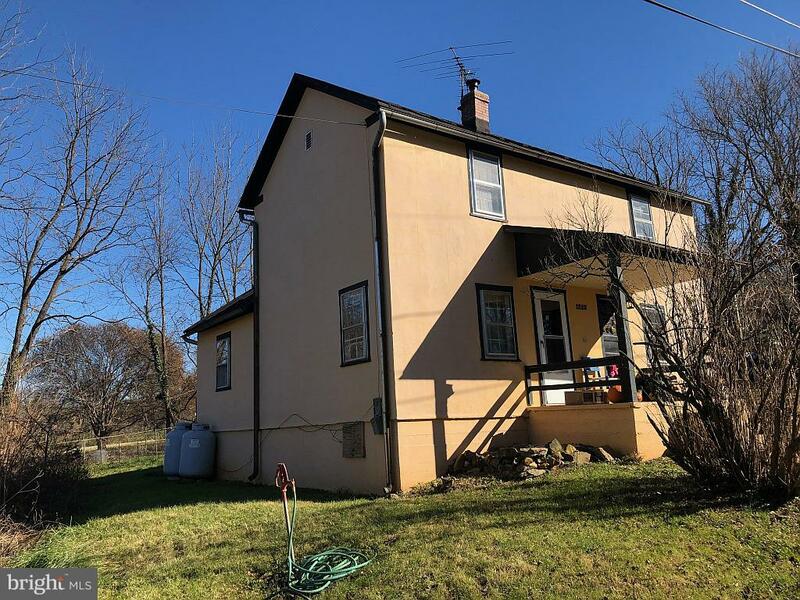 Other features include the two-car attached garage, a 1 bedroom/ 1 bath separate Guest Cottage, an equipment shed, a small dog kennel, a 4-stall Barn and two large fenced paddocks. 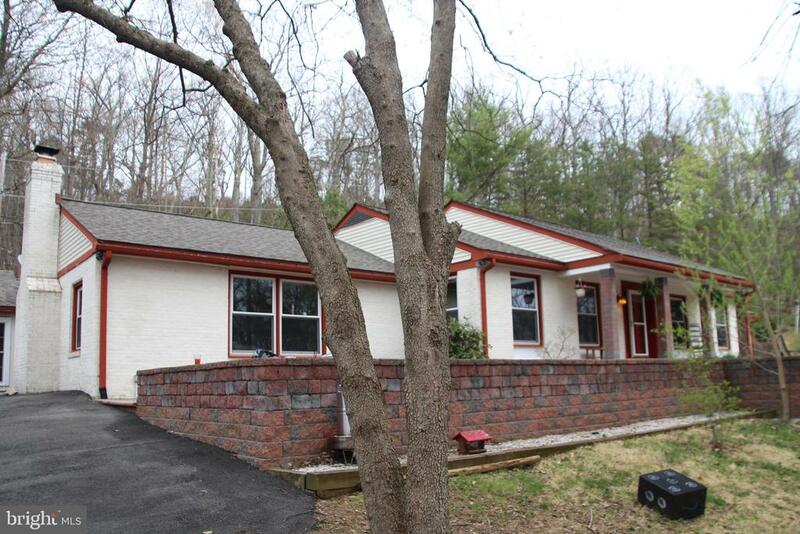 Ideal commuter location with Route 50 or I-66 just minutes away." "NewerPrice-Drimoleague-The best in country style,w/a perfect Hunt Country location, pastoral views, entertaining spaces & more. Located 1/2 between Middleburg-The Plains, & only minutes to I66 or Rt 50, 7acs surrounded by easement land. Custom amenities, w/ VA log dining room w/painted dome ceiling, sunroom, 2BR guest house,lap pool w/auto cover, extensive gardens, fenced paddocks & run-in sheds." "Treetops, 3091 Burrland Road, The Plains, VA, offers the perfect hunt box or full time home in the middle of the Virginia Countryside on 14.74 acres. 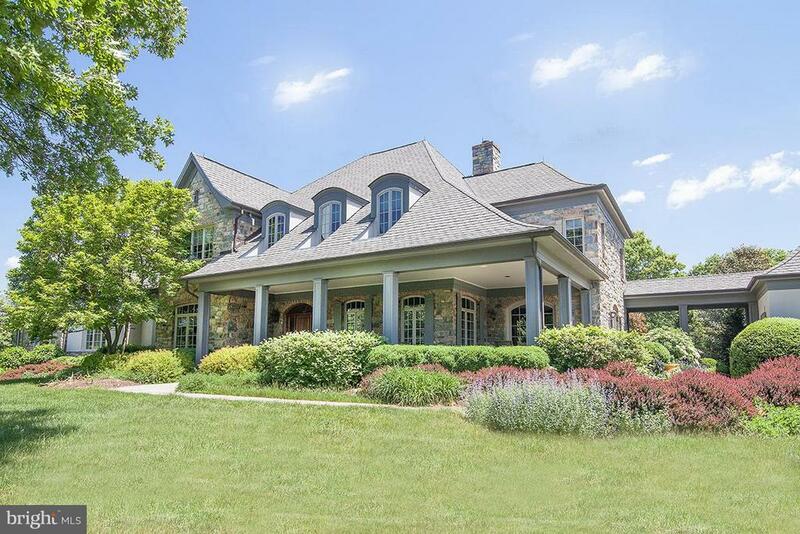 The property is situated halfway between Middleburg and The Plains on a bucolic country road, Treetops offers fantastic views, quite surroundings and privacy. The home was recently renovated, expanded and reconfigured, making it the ideal home for todays living. There are light hardwood floors throughout the home, 2 wood-burning fireplaces, and views from every light filled window. The floor plan is fabulous for entertaining, yet it provides a cozy nook for quite enjoyment. The main floor offers a large living room with bay window, wood-burning fireplace, built in bookcases and cabinets, and access to the covered porch. A large dining room is easy access through a butler~s pantry/bar (with wine refrigerator) and is perfectly sized for a gathering of friends and family. A den has wood-burning fireplace and is adjacent to a full bath with shower. This den could easy be used for overflow guests with the adjacent bath. The main floor also offers a a large covered porch for enjoying the outdoor and the incredible view either on a rainy day or in the heat of summer.The Kitchen has all the important amenities, and appliances, granite counters, stainless steel and wood trimmed appliances, center island/breakfast bar, and a large pantry. A breakfast room with windows on three sides allows one to see the weather coming in the distance before it is forecast. A delightful place for your morning coffee. The main level is completed with a side entry hall and laundry/mudroom, with washer & dryer, utility sink and abundant storage. The Second floor offers master suite and private bath. The bath has stone and tile finishes, double sink, soaking tub and separate shower. Walk-in and standard closets provide plenty of storage space. There is a guest bedroom and hall bath. The light filled office space has large windows tha"
"Beautiful redone Virginia classic in village of The Plains. 6 BD/6.5 BA amazing residence is also perfect for airbnb or B&B. Front porch and 2 level porch off rear overlooking amazing setting of gardens, views on 4+ acres. Upgrades are new kitchen, all windows, new metal roof, tankless hot water and more. New furnace just installed in 2019. 4 finished levels, high ceiling, hardwoods. Comcast infinity internet. Easy access to 66.There is additional acreage and homes on Ashby Lane that sellers would make available for purchase. Details available. Perfect residence to call home and or turn into Inn for B&B or Airbnb. Sellers installing new heat system"
"Small town country living just 30 min from the beltway! Beautiful historic home with too many features to list! Gorgeous kitchen with granite, copper sink, & breakfast nook. Hardwood floors & fresh paint. 3 gas fireplaces! Dream gardens featured on VA Historic Garden Tour and in Southern Living Magazine! 2 ponds, patio & fabulous hardscaping! Sunroom addition. New tin roof, above-ground oil tank & HVAC~s. 2 lots totaling almost one acre. PLUS a guest house with great rental income potential, and a spring barn! Extensive renovation of the guest house is nearly complete, to include new everything~wood floors, metal roof, kitchen & bath cabinets, appliances and more. Be sure to click on the movie reel icon to view an awesome aerial video of this property which was appraised in 2018 at $928k! Quaint walking town with 2 renowned restaurants, coffee shop, antiques, and art galleries. Convenient to I-66, Routes 15, 29 and 50, and nearby Great Meadow Field Event Center. 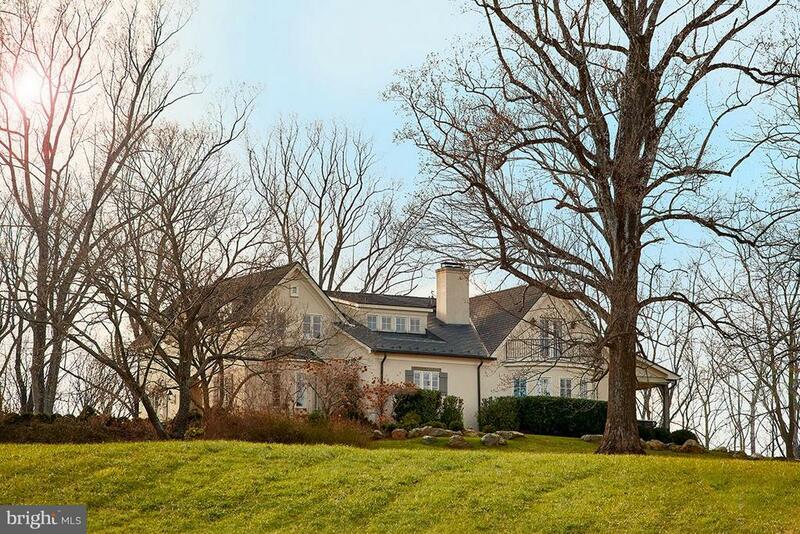 A true must-see nestled amongst the rolling hills of Virginia. Pictures of the guest house to be published once renovations are completed." 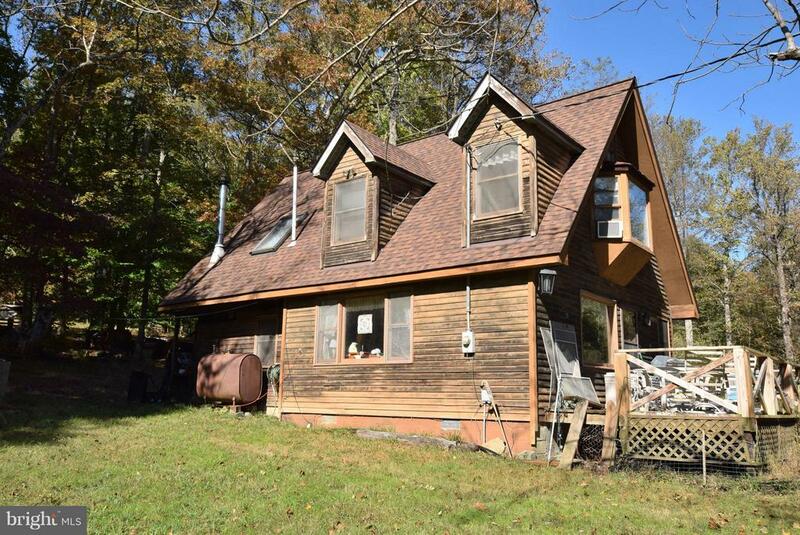 "VALUE IS IN THE LAND - 3 BUILDING LOTS on almost 25 wooded acres surround this charming, three bedroom chalet! Deck overlooks pond & wooded privacy! Home sold 'AS IS' and needs work, but definitely liveable! Please excuse the clutter - Owner is in process of clearing out her treasures. Detached shed & three bedroom trailer also convey." "Custom built Colonial with elegant stone front elevation located between villages of Marshall & The Plains. Designed with an open floor plan that is flooded with light by an incredible number of windows and skylights. Two-story foyer has a hardwood staircase with iron balusters that form a unique rounded wall. Wonderful family home has 4 bedrooms, 3.5 baths on two finished levels. Gleaming hardwood floors on the main level with new carpeting upstairs. Formal Living Room, Dining Room and an Office/Den with lovely details such as crown moldings, chair rails and wall frame moldings. Gourmet Kitchen features an island, stainless steel appliances and a separate Breakfast Room. Kitchen opens to a spacious Family Room with floor-to-ceiling stone fireplace (gas), built-ins and a cathedral ceiling. Off another side of the kitchen is the vast Solarium or Game Room that opens to a deck that wraps around the side of the house. The second level features a Master Bedroom Suite with sitting area, walk-in closet and luxury master bath with dual vanity, soaking tub and separate 2-person shower. One guest bedroom has an en-suite bath and two other bedrooms share a Jack & Jill bath. This house is ideal for entertaining with so many spaces to gather friends and family. The unfinished basement is ready for expansion with bathroom plumbing in place and plenty of space for both storage and more rooms. Completing the property is an attached oversized 3-car garage with space for a workshop. Move in ready! Priced below assessed value." "Beautiful, impeccably maintained, move-in ready, family home that is perfect for entertaining! This private oasis is conveniently located--only about 5 minutes to I-66 at Marshall and even closer to Warrenton and a short trip to the spectacular Shenandoah Valley! 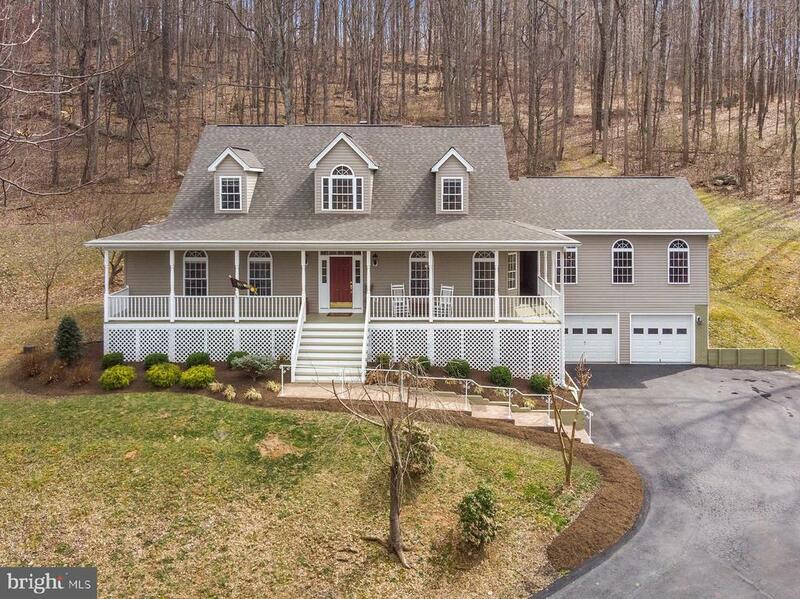 Enjoy mountain views and explore the natural beauty of six plus wooded acres that include a quiet, private glen! You will immediately feel relaxed when you enter this beautiful home. Wow your guests with glorious sunsets while you lounge on the front porch--drink wine and barbecue on the large deck. Create family and lifelong memories in the grand entertainment room located just off the recently, updated kitchen. This home offers lots of living space in a well thought out floor plan. See the virtual tour for all the upgrades including new carpeting throughout, solid wood floors on the main level, updated appliances in the kitchen and laundry rooms, renovated baths, new ceiling fans, and wait there i~s more, new HVAC, recently installed water heater, water softener, and air cleaner. Plus, your pets will stay safe with your already installed invisible fence." "INVESTMENT OPPORTUNITY : 5 near identical single family homes on one parcel. $40,000 of annual NOI + redevelopment opportunity." 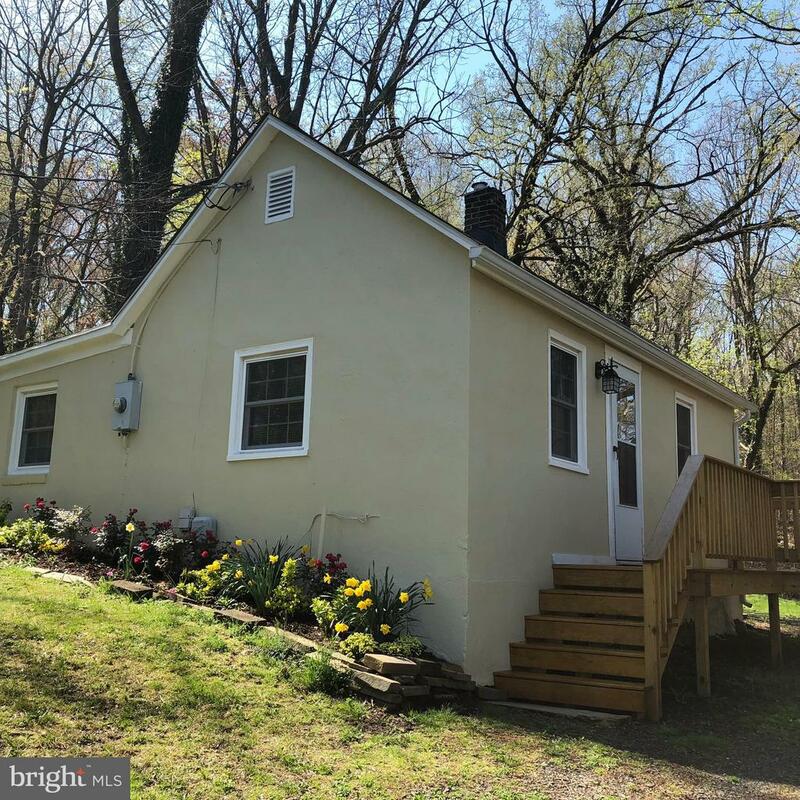 "Cul-de-sac location, just a few minutes from I66 with beauty and privacy! ~Georgetown~ model II custom home boasting large Anderson and Marvin Integrity windows throughout, newly refinished maple hardwood floors, new paint & carpeting throughout, radiant heat 1st floor, custom Unico HVAC totally new 2015, new 50year architectural shingled roof, remodeled kitchen ( with cherry cabinets) and bathrooms, walk-out media room to two level freshly painted deck overlooking 4 secluded acres with gazebo. Finished 2 car garage featuring gas heater, custom flooring, new Amarr garage doors w/belt driven openers, workbench & extensive shelving. Lighting and fixtures have been updated throughout home, along with new owner's suite organizer closets and custom doors. Attic accessibility with plenty of storage. House generator too. Situated near Great Meadow, home of the Virginia Gold Cup. A true gem! Owner is listing agent." 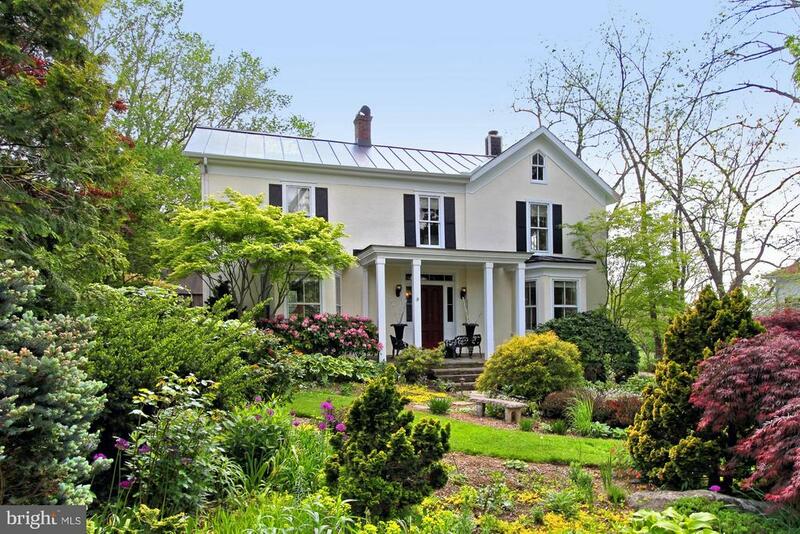 "This charming home is tucked up on the hill surrounded by 9 acres+ of privacy and nature. Spacious one level home offering a large living room with built in shelving, large window creates bright and comfortable space. Family room is unique with its flagstone floor surrounding the wood stove with vintage mantle. Updated spacious kitchen: new cabinets with quiet close drawers, granite countertops, stainless steel appliances, track lighting, pendant lights over eat in table space and an epoxy covered cement floor. Propane gas cooking! Sunroom/ bonus room between kitchen and dining room with door to rear deck. Large dining room with sliding barn door and hallway to half bath and generous storage closet. Large master bedroom with flagstone floor, wood burning fireplace with stone hearth and a mantle. Door to front brick paver patio. Large master bath with two vanities, two closets and large shower. Two additional bedrooms and full hall bath. 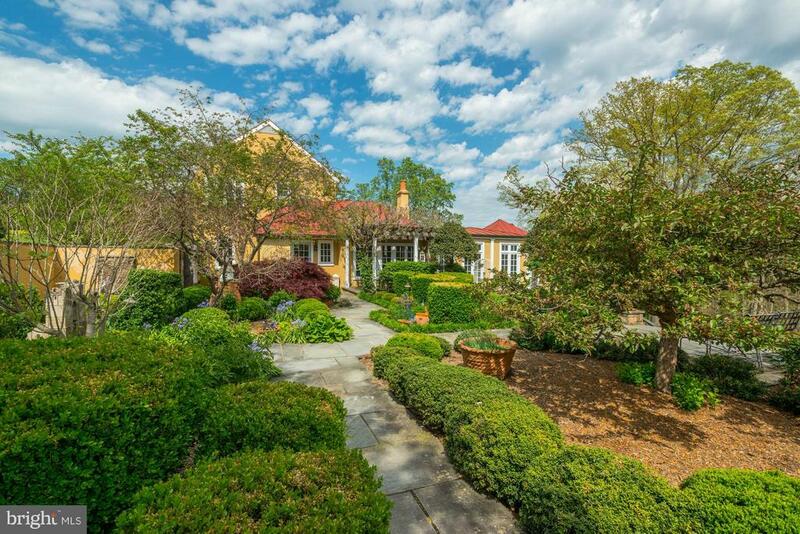 This property is scenic and private, yet close to neighbors, local shops and winery! MUST SEE!!" "Welcome to Whistling Willows! Leave the city behind and relax on your new front porch in horse & wine country! Considered by some as an early model home, this charming 3BR/2BA home built in 1903 sits perfectly on .72 acres in the picturesque town of The Plains. Main lvl MBR/MBA. Updated kitchen and bathrooms. New energy efficient windows throughout. Easy access to Interstate 66. Showings are by appointment only, 7-days a week, 9am-6pm. 24-advance notice requested. Please email/call listing agent to schedule." "Move in Ready in The Plains. Investor property or Personal residence on 1 acre lot. Close to dining and shops in the village. Marshall 5 minutes. 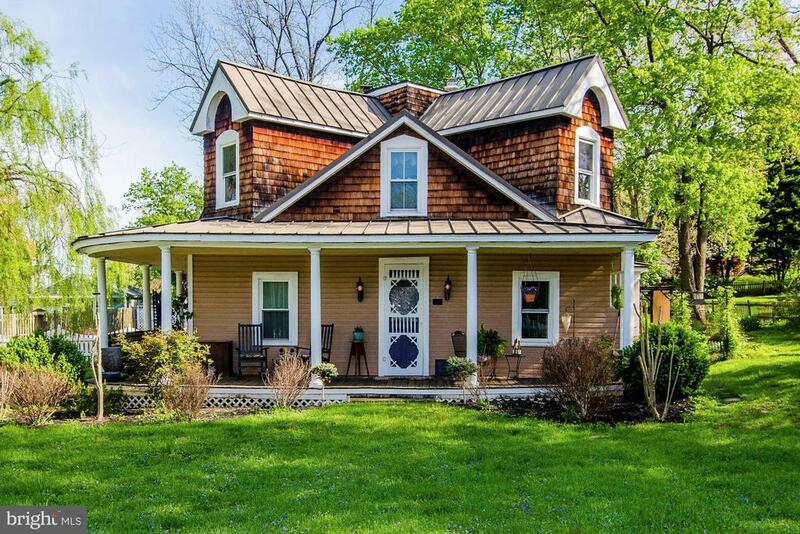 Middleburg 10 minutes"
"Charming stucco and flagstone cottage in The Plains. New roof, new windows, new kitchen, new appliances, freshly painted, new electrical. Second bedroom can also be a den or an office. Convenient in-town location offering downtown shopping and restaurants all in the hub of hunt country. Why rent or settle for a town home when you can enjoy an affordable single family home."